As plagues of locusts threaten to destroy crops in the Sahel region of Africa, CNES is proposing satellite technologies to track swarms. In 2004, huge swarms of desert locusts returned to Africa in the Maghreb and countries bordering the Sahel, causing widespread devastation as they chomped their way through crops. This agricultural disaster constitutes a real threat to food security that could lead to famine. Able to drift on the wind for up to 200 km in one day, swarms number billions of voracious locusts each consuming 2 grams of food every day. That means a swarm is capable of devouring 10,000 tonnes of vegetation daily. In response to this humanitarian threat, CNES and its affiliates CLS and Novacom Services proposed a satellite-based solution for tracking desert locusts to the United Nations’ Food and Agriculture Organization (FAO). How can satellite technologies help to combat desert locust invasions? 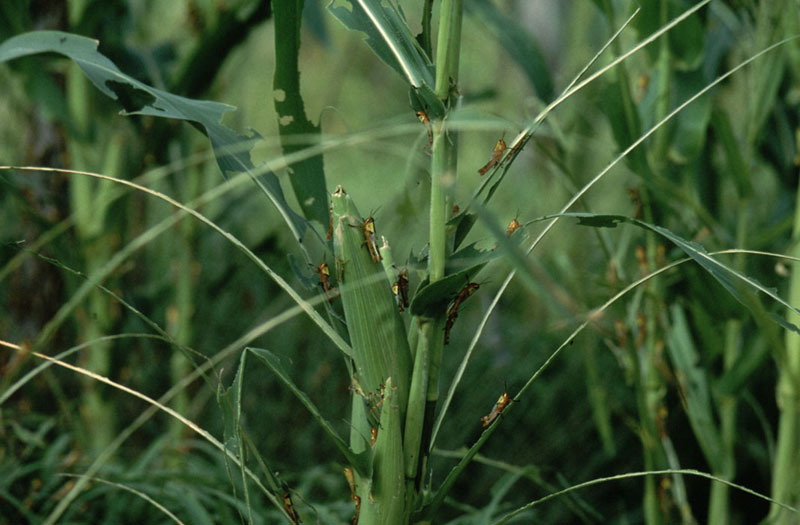 The answer lies in the conditions under which locusts multiply, which depend on the weather: rain that is good for crops also favours hatching; sandy or moist clayey soils are ideal for laying eggs; and leafy green vegetation brings them to maturity. 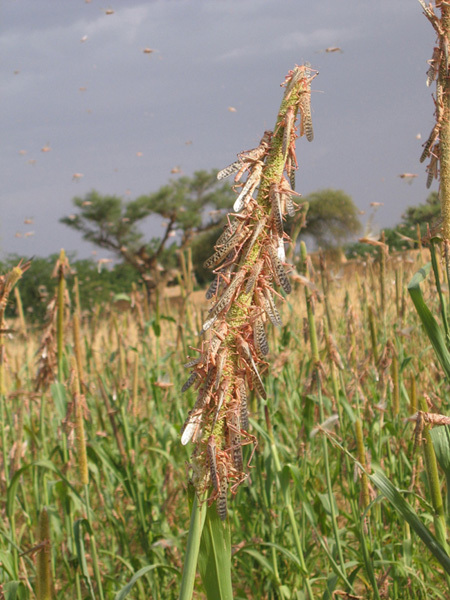 The mitigation project proposed by CNES entails setting up early-warning systems that will raise an alarm if climate and wind conditions are considered favourable to an arrival of locusts. Countries affected will thus be able to locate locust swarms in real time and take speedy action to eradicate them. The FAO undertook a pilot project managed by CNES in July. The project was a success and the FAO now wants to extend it operationally to no less than 21 countries. This is a fine example of how satellite technology can be applied to further a good cause—food security—by enabling infested countries to fight this winged plague.